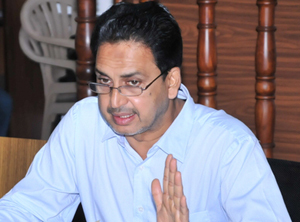 Mangaluru, Feb 9, 2016 : Deputy Commissioner A.B. Ibrahim who was addressing a meeting of officials on February 8, Monday to oversee the preparations for the forthcoming Zilla and Taluk Panchayat elections has warned of disciplinary action against officials who refrain from discharging their election duties. The DC’s warning has come in the backdrop of the requests which his office has been receiving from some government staff to exempt them from election duty for no valid reason. It has been gathered that some have even appealed for exemption on health grounds but had failed to provide medical certificates to substantiate the same. The DC said if at all anyone was unable to attend election duty for some valid and genuine reason, they can do so by personally approaching his office along with the relevant documents. He further instructed Tahsildars not to entertain such requests without valid reasons from employees. Election sector officials will undergo training on February 11 while booth officials will have to take part in training programme scheduled on February 13, the DC informed. He further said the election proceedings will be video recorded in 25 per cent of the booths.